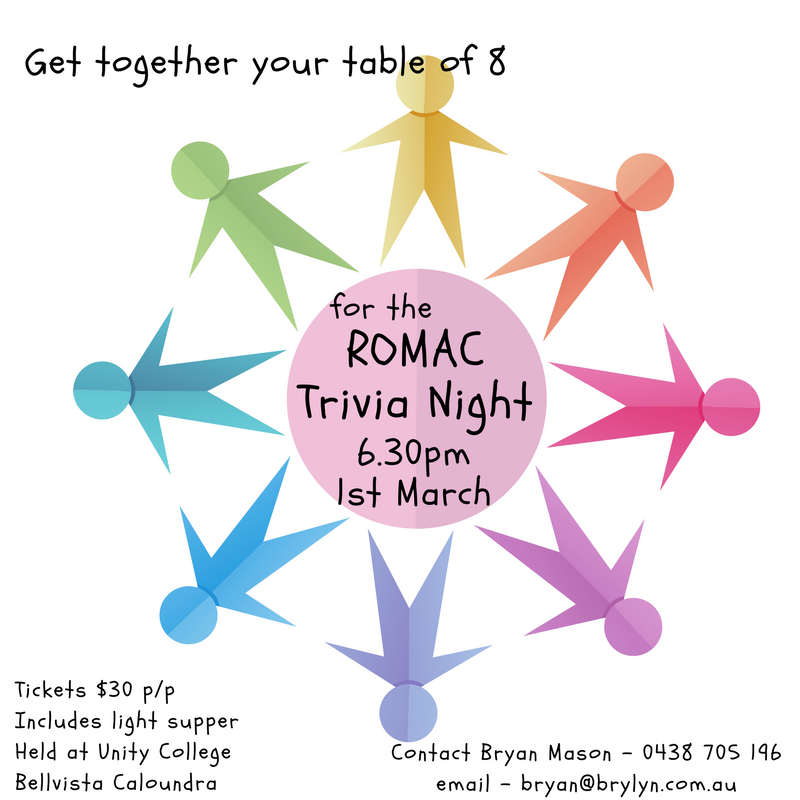 We're looking for your support to make the 30th Anniversary of ROMAC our best Trivia Night yet! If you can't get a table, but would like to attend, let me know and I'll find you someone to sit with. Remember, we want 300 participants, so we need your help.